If you’ve noticed that you’re wasting a lot of rounds while trying to zero your rifles and pistols, one of the best tools you can buy is a laser bore sighter system. Bore sighters use a laser to help you zero in with your scope and iron sights, while only using a few rounds instead of cases of ammo. We scoured the internet for laser bore sight reviews to put together our own list of what we think are the best bore sights on the market for the average gunowner. Will let you know what our top pick is at the end of this review. 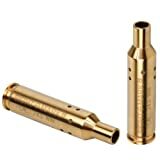 For most buying options, bore sighters should come with a kit that makes them universal or nearly universal with all types of rifle calibers (and even some shotguns, in this case). Most needs or preferences with bore sighters are generally the same, so the main goal here is to find the product that will ultimately save you the most money on ammo costs. Our review puts together a list of bore sighters that covers every budget, ranging from $25 to $100. Materials – The Sightmark Bore Sight is the cheapest option within these bores sight reviews. It’s made entirely of machined brass, and it’s shaped like a cartridge case which houses the entire laser system and the batteries. To turn on the laser, simple unscrew the top of the housing, and insert the batteries. Turning off the laser is just as easy, by removing the batteries. It works well alongside with scopes, holographic red dot sights, and any original iron sights. The sight range is 15 to 100 yards, and the dot size is two inches at 100 yards. The Sightmark bore sighter can be purchased in a variety of calibers for rifles and pistols, so it’s the best laser bore sighter for any AR 15 owners because it can be purchased without any guess work. 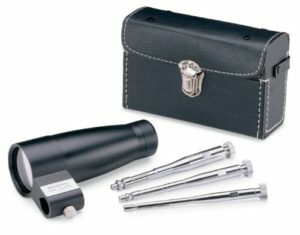 These bore sighters also come in a convenient nylon carrying case. Performance – While the allover outcome of this laser bore sight review is quite positive, the Sightmark bore sighter is certainly the economic option for our buyers on a budget. It’s not the most flawless piece of equipment, but we still stand by it for its easy use and capabilities. The sight range on this bore sighter is totally adequate, and it is genuinely universal. We appreciate that there’s no guess work if we’ve purchased the right option for our AR 15 or any other rifles. The nylon carrying case is convenient in allowing us to easily bring it with us to a range to zero our sights. We will admit that the fact that you have to remove the battery to turn it off is a little weird. It’s not the end of the world, but an on / off switch would have been nice. What we say – You’ll only be paying about $30 online for the Sightmark, making it the best laser boresighter for anyone on a really tight budget. If you don’t mind storing your battery away when it’s not in use, we see no reason for any complaints about this option. If this is your first time using a boresighter to zero your rifle, this is a good starting point, and you can upgrade to a pricier model if you wish after some time. Materials – The Laserlyte Mini is the best laser boresighter for anyone looking to zero a smaller caliber pistol. It does require a three inch minimum barrel, and it can still compliment any .22 to .50 caliber rifle. It is constructed from T6 aluminum with an anodized hard finish in red, as opposed to the usual black finish. It is also fifty percent smaller than the original Laserlyte model. 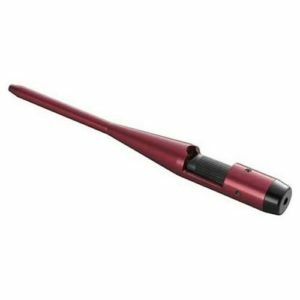 The company boasts that their mini bore sighter can come within three to four inches of a bullseye after three rounds. This laser bore sight kit comes with adapters, mounting screws, three 393 batteries, a hex wrench, daylight laser target, and a complete set of instructions. It can reach up to 100 yards, and it project a two to three inch red dot. The battery life offer 1.5 hours on continuous use, and it even adjusts the laser brightness to avoid fading as the battery life diminishes. Performance – Although it costs almost twice as much as the previous laser bore sight review, the Laserlyte Mini is a significant step above while still being cost friendly. We really like the 1.5 hour battery life because that’s the perfect amount of time (and then some) to properly zero multiple rifles – plus, the batteries are cheap enough to easily replace. Installation is easy, and the kit comes with everything you would need. So what’s the catch? Well, the laser is really best to use at an indoor range, as it can be difficult to see in broad daylight. If you have regular access to an indoor range, then this won’t be a problem for you at all. With that in mind, everything else about the Laserlyte Mini Best Bore Sight is pretty convenient. What we say – Depending on where you purchase it from, the Laserlyte Mini Best Bore Sight will run you between $40 and $50. For a boresighter, that’s a pretty okay cost. Like we said, this option is best for indoor use, but the battery life offers you plenty of time to really fine tune your sighting. If you’re not very good with guess work, this is the best option for you because the kit includes everything you’ll need with clear instructions. Materials – The Bushnell Professional Kit is the best boresighter for any gunowners who like a sleek look and are more experienced with using a boresighter for zeroing their weapons. The boresighter itself is made of tough aluminum with a hard, black, anodized finish. The kit contains three adjustable, steel arbors, which cover .22-.35 caliber, .35-.45 caliber, and a .177 caliber fixed insert. All of the pieces included come with hard sided, black carrying case covered in vinyl. The Bushnell Professional bore sighter works on a graduated grid system, with each graduation being equivalent to four inches at 100 yards. 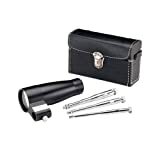 This laser bore sight kit also comes with a limited lifetime warranty. Performance – Within these laser bore sighter reviews, the Bushnell Professional Kit is by far the, well, most professional option. This is one of the few times it’s okay to judge a book by its cover; or, better yet, judge a vinyl carrying case by its cover. It adjusts well in its graduated grid system, and we have yet to see a rifle that it doesn’t work on within the covered calibers. We do want to give a heads up that the sight doesn’t appear to be fog proof, so just be a little careful with temperature changes. 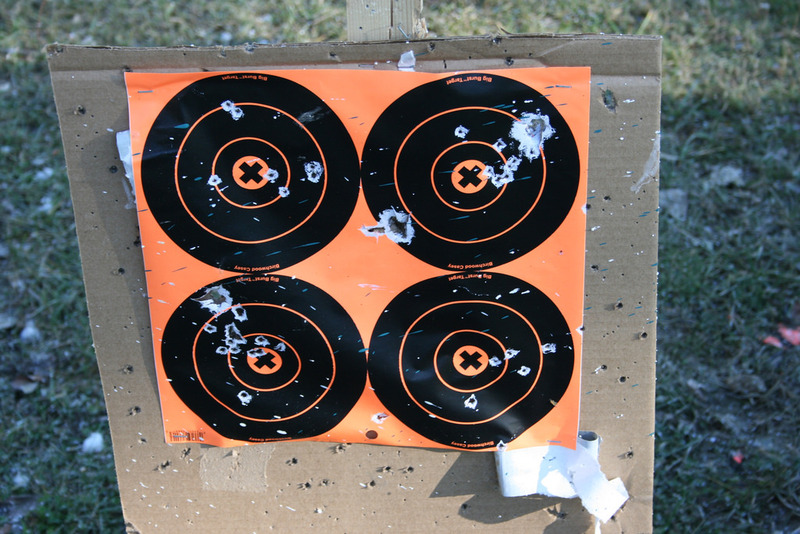 Again, this is another bore sight that you may want to use at an indoor range, but it will work outside too. What we say – The Bushnell Professional Kit Bore Sighter will cost around $70 to $80 online, which is more expensive, but definitely worth it for anyone who intends to get the most out of this product. The hard sided case makes this a great accessory to throw in your bag or car before heading to the range without worrying about anything getting damaged. This may not be for the inexperienced, but it’s the best laser bore sight for anyone who knows their rifles really well. Materials – The SiteLite Mag Laser Bore Sighter is one of the best of the best in all the other laser bore sighter reviews that we sifted through, so we had to test it out. This boresighter is also made of aluminum, with both a silver and red color body. Some options comes with a red laser, and some come with a green laser, so that choice will be up to the buyer. The laser bore sight kit comes with two adapters, twelve O-rings, two target cards, and SLR-100 adapter with bubble level, and a full set of instructions. This boresighter covers .22-.50 caliber weapons and 20 and 12 gauge shotguns. The laser bore sight kit also comes with a lifetime warranty. Performance – The SiteLite Mag Laser Bore Sighter is definitely the best option for anyone who can put out the money for it. There’s a lot of versatility in this boresighter as far as the types of calibers it can cover. This is the only product we have found that advertises for working with shotguns, alongside with rifles. The lasers work well both indoor and outdoors, and we found the sights to be quite accurate and easy to adjust. The one and only complaint we could find was that after a certain yardage, your dot may expand to more than a few inches. This shouldn’t happen to everybody, but that lifetime warranty will clear up any issues you may experience. What we say – The SiteLite Mag Laser is one of the best bore sights, but also the most expensive, and it will cost you around $100 online. This is likely one of the best options if you have a variety of rifles that you would like to use it on. It includes basically everything you would need, and that lifetime warranty seals the deal. Our top pick for the best boresighter for the everyday gunowner would have to be the Bushnell Professional Kit. It costs under $100, but it isn’t made cheaply either. 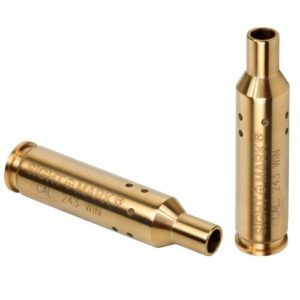 The expandable adapters cover any caliber within the .22-.45 range, and the design and use is simplistic and effective. For calibrating and zeroing your firearms, we find the graduating grid systems as one of the best ways to achieve that. 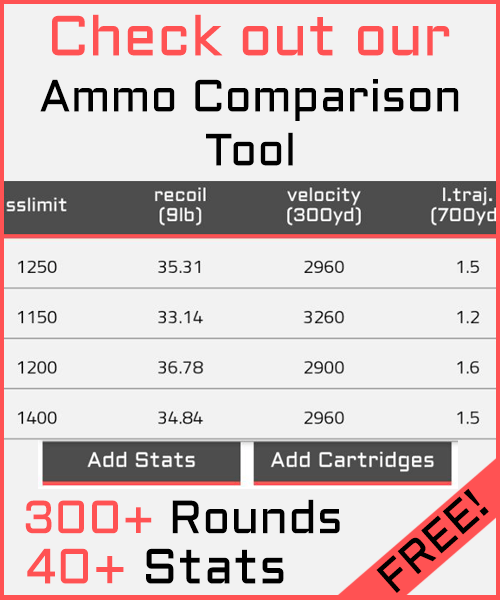 For the average gunowner looking to save their rounds, this is definitely one of the best choices. Let us know which bore sighter you purchased and what option worked out best for you!